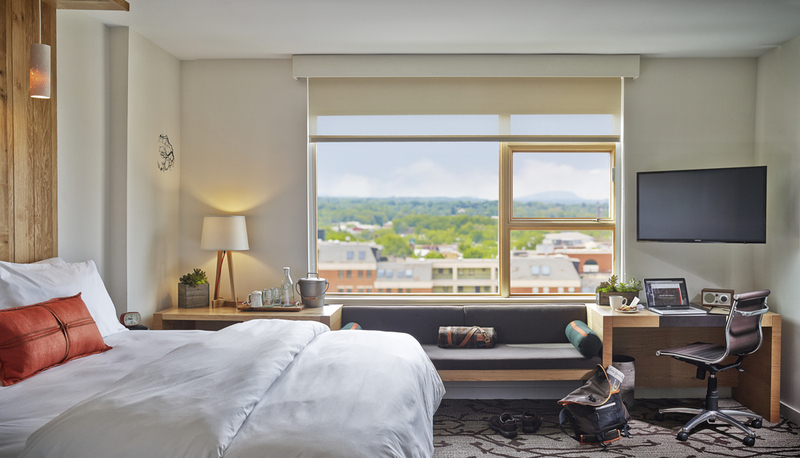 The 124-bedroom Hotel Vermont and Hen of the Wood Restaurant is located on a infill site on Cherry Street in Burlington, midway between the Church Street Marketplace and the City's waterfront. 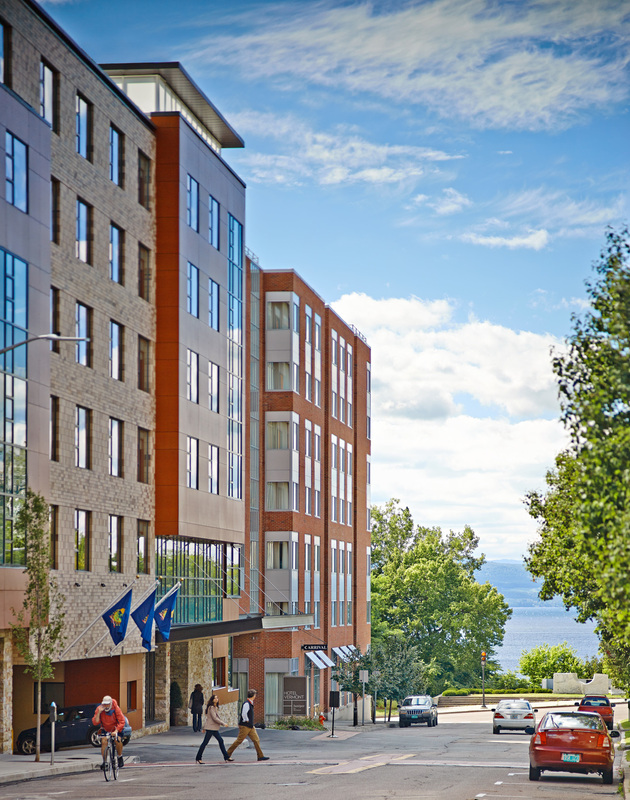 The hotel is praised locally as a prime example of the type of high-density, smart-growth Burlington seeks to encourage. 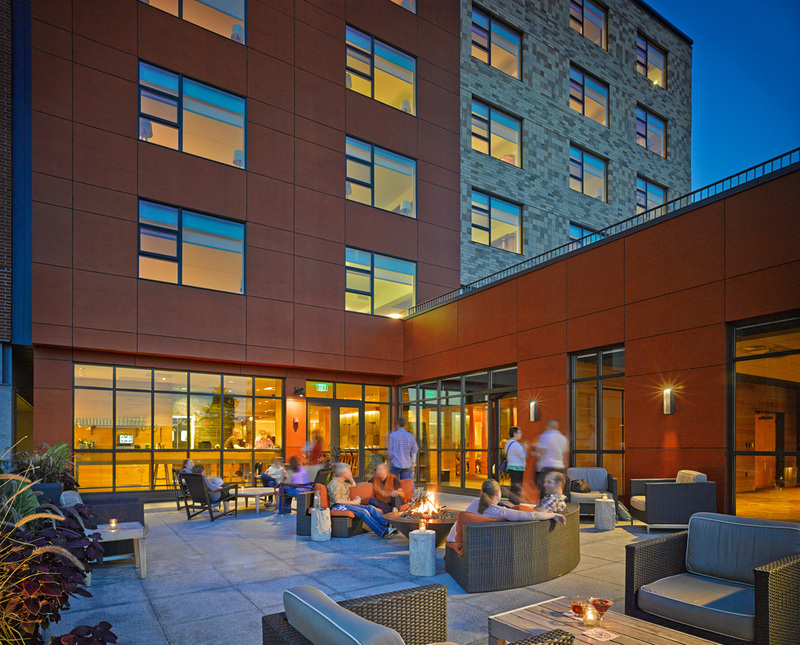 Since opening, the Hotel and its two associated restaurants have created a substantial increase in foot traffic along Cherry Street, with guests venturing out, and the community venturing in. The new Hotel Vermont opens its doors 100 years after the original Hotel Vermont first welcomed guests on the corner of Main St. and St. Paul St. With that in mind, the new hotel was designed to serve the lifestyle needs and stimulate the senses of moderate and upscale leisure and business travelers seeking a unique and authentic “Vermont” experience that exudes comfort and causal warmth while encouraging productivity. 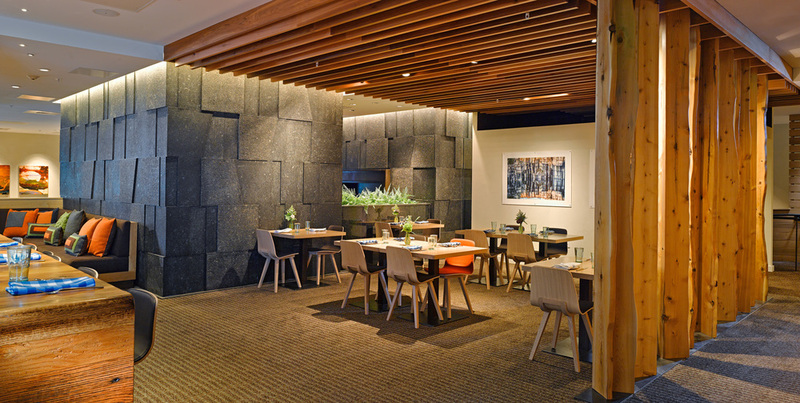 Throughout the hotel, local masonry, wood, metals, furnishings and art are combined in a modern composition. The site was one of the main challenges of this project. Much of the building wraps the front of an existing City parking garage. The narrow 45-foot wide slot between the garage and the sidewalk is just wide enough for a double-loaded corridor with rooms on both sides. The narrowness of the site became a major factor in the development of unique guestroom layouts. 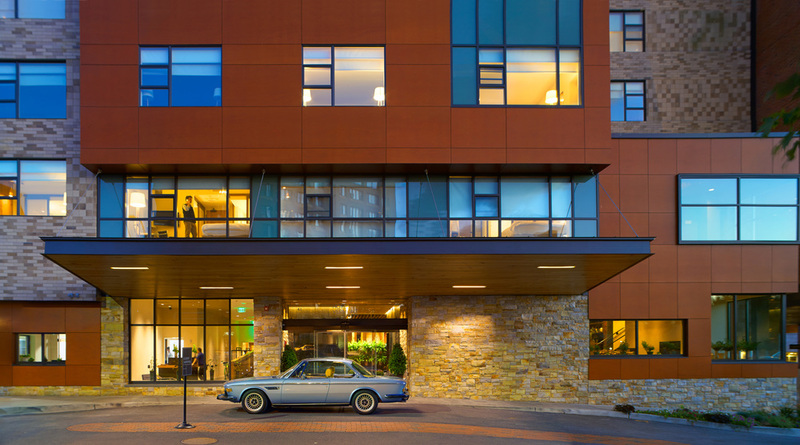 The design of the hotel also enhances the urban environment by placing the hotel entrance and drop-off canopy directly on the street with regular pedestrian and vehicular activity. The property was locally developed with design, construction, and management from Burlington-based teams and it is locally owned and operated. 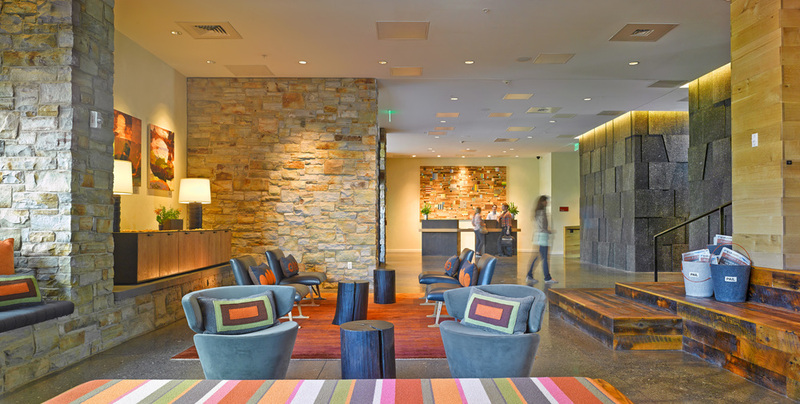 Hotel Vermont is currently seeking LEED Certification by the US Green Building Council. For more information on Hotel Vermont. 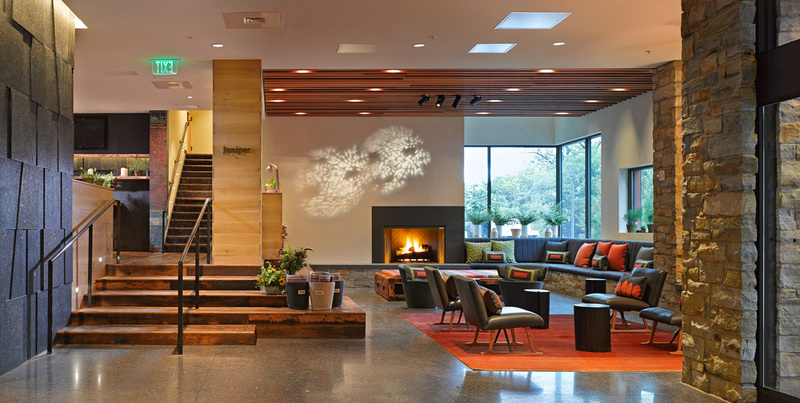 Digital renderings of Hotel Vermont are by Lincoln Brown Illustration.